Celebrating Diversity & Neighborliness in our community. Ashura, a holiday celebrated annually in Turkey, was also celebrated in Turkish Cultural Center Bergen. This holiday signifies many events for Muslims and Christians in the Middle East, amongst the most significant being the day of Noah’s Ark set on dry land. The month long festivities center on promoting friendship, good relations between neighbors and universal peace and understanding. In Turkey, a traditional dish is prepared during this month known as Noah’s Pudding. It is meant to symbolize the celebratory meal Noah made when Noah’s Arch landed on Mt. Ararat. It is a sign of peace, community and a bright future; celebrating diversity and keeping one’s identity and culture. 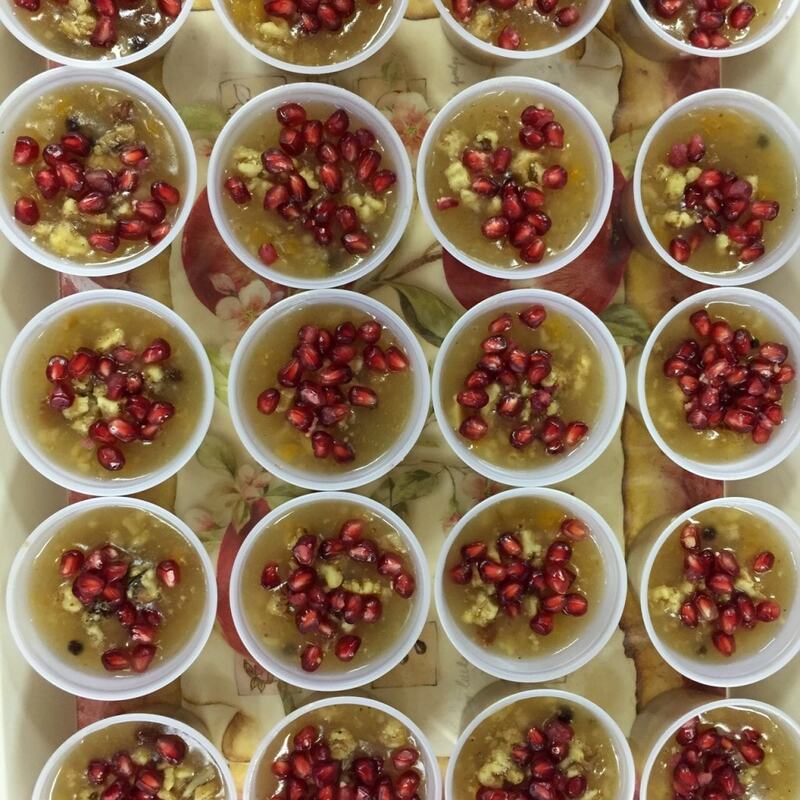 Every year, Turkish Cultural Center Bergen volunteers prepare thousands of bowls of Noah’s pudding and hand it out to its various neighbors all around the city.Like every year, last week members of the Turkish Cultural Center Bergen prepared the pudding at home and handout bowls of it to their neighbors.